Happy July everyone!! Tomorrow we celebrate one of our favorite holidays (yay America! ), but today we are dishing on everything we've been reading for the last month. Summer break has been in full swing for a month now and we have a lot more time to sneak in some reading, which we're loving! 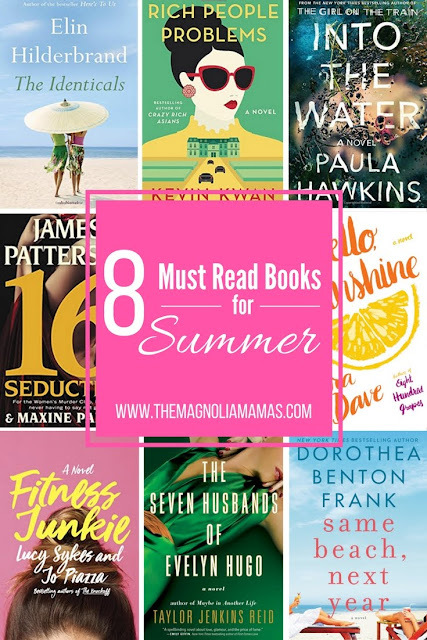 Last month we shared 8 Must Read Books for Summer and have had fun digging into these great books! Have you read any yet? Let us know which are your favorites! 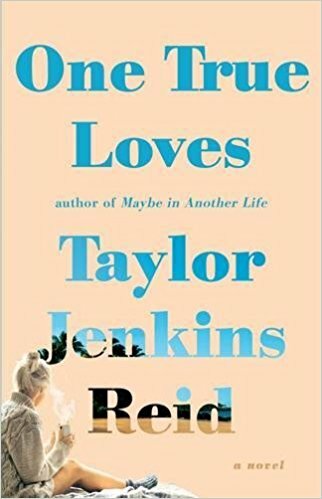 First up, I finished One True Loves by Taylor Jenkins Reid. It was SO good. Jen told me I would love it and she was definitely right. It was a love triangle kind of story with a crazy twist that I never would have seen coming. The main character finds herself engaged and married at the same time. Crazy, right?! It was such a compelling story that had me going back and forth between her two loves and totally seeing reasons why she should choose them both. I love the way it ended though and feel like it was a quick and easy read. Ah.....summer! Summer is my favorite time of year. Nothing makes me happier than lounging beach side with a good read. Well, you know, as much as you can with three kids six and under at the beach, but we had at least 12 hours of car ride. Also, I am still rocking a lot of sideline reading. Summer might be here, but activities are still going strong. And know what else is strong? My reading game. 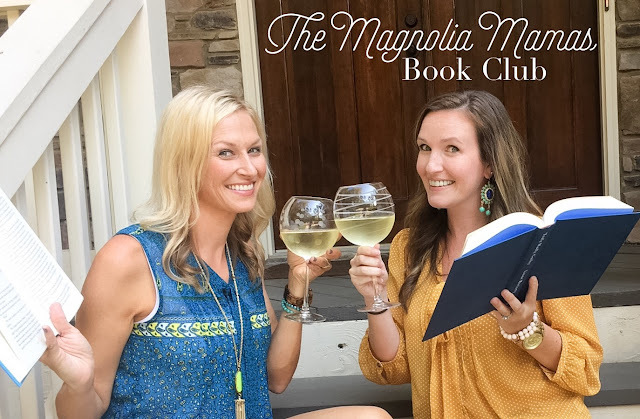 I read five books last month, and all of them I am excited to share with you. It was a good month! I dug head first into our Summer Reading List, and first up was Rich People Problems by Kevin Kwan. I read the first two books in this series last year, and I was so excited to see a new novel was coming out. There are a lot of quirky characters, but overall the plot is hilarious, and Rich People Problems was no exception. When the family matriarch falls ill, the family closes in to see what will happen to all of her fortune and her infamous lavish home in Singapore. Needless to say it makes for a very fun look at a little high society crazy. It's a quick fun read, and I highly recommend digging into the series if you are looking for something fun and light to read this summer. 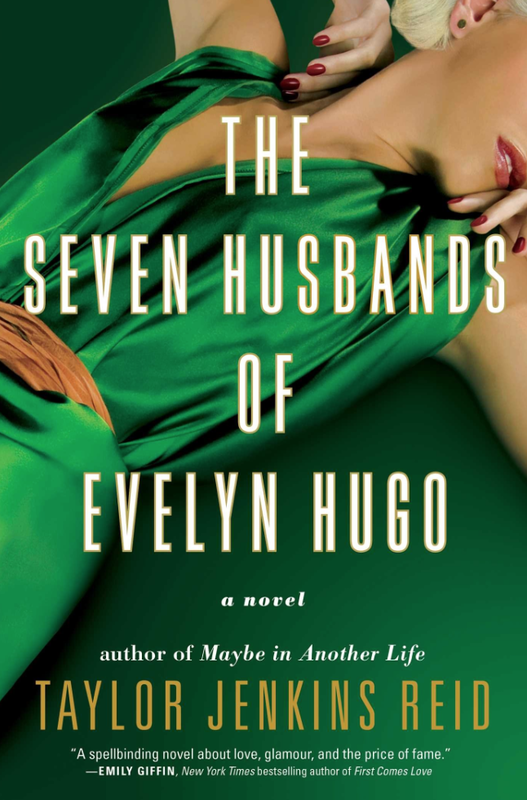 Second, I dug into The Seven Husbands of Evelyn Hugo by Taylor Jenkins Reid. I've been so intrigued with the novels I've read in the past of Reid's, so when I saw this novel come across our desk I couldn't wait to dig in. The Seven Husbands of Evelyn Hugo was so different than the others I have read, but I love how Reid still snuck in those intricate twists that keep you so invested. The plot follows the famous icon Evelyn Hugo and the writer she's chosen to pen her biography. Monique can hardly believe she's been chosen to interview and write the famous actresses' life story, but then she realizes the truth behind why she was chosen and it alters her life it a spellbinding tale. It was an interesting and unique story, and it will definitely make you think a little harder about celebrities and the lives they portray to the public. 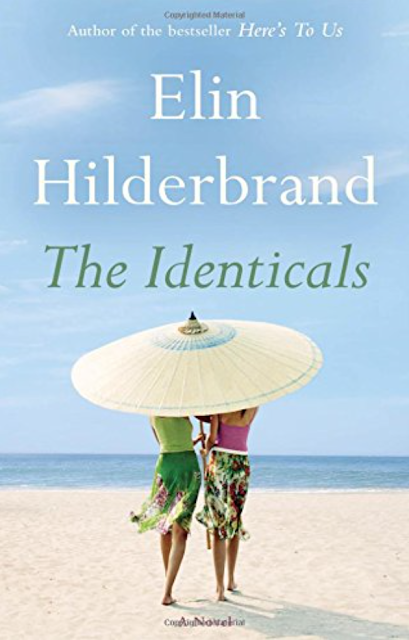 Third up was another book from our Summer Reading List, and how could I not read a little Elin Hilderbrand while I was on our beach vacation last month. I've read quite a few of her beach reads, but The Identicals might be one of my favorite ones yet. The Identicals follows two identical twin sisters and their lives following a series of family tragedies. They live on two separate islands only a few miles apart, but haven't seen each other in over a decade. Due to an upheaval of additional family issues they decide to have a modern day twin switch. The story makes you mad, sad, and happy all in one. Throughout the novel I disliked a lot of the characters, but the ending made me change my mind, and I walked away from the book with a smile on my face. Exactly how a beach read should be! Next, up I went for a little something different. A friend of mine had read that I was all sorts of obsessed with royals lately, and dropped this book off to me. I had no clue what My Lady Jane was about, but I was after readying the synopsis I was intrigued. Also, it is a young adult novel so I knew it would be a little lighter than some of the heavier books I had read last month. 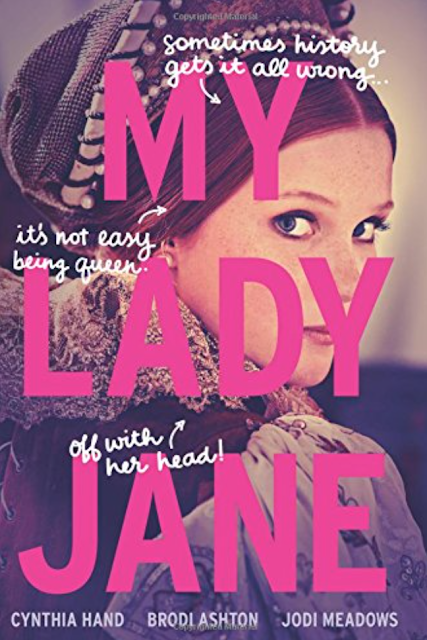 My Lady Jane is kind of a comedy, historical, and fantastical novel all wrapped into one. The novel is a mix of the real life story of Lady Jane Grey (who was queen of England for all of nine days - true story! ), and fantasy. The humor in it was fun and the whole story had a little bit of a Princess Bride feel to it. I have no idea how my friend stumbled upon this (or why she thought I might enjoy it), but I am so glad she did! It was just plain fun to read, and I was able to learn a little bit more about that crazy royal family tree. Last up for the month was a recommendation from my friend L. She told me about The Woman in Cabin 10, and after hearing so much hype about it I decided to give it a try. I read this book in less than a day. It was so good! And I am not one to normally one who likes psychological thrillers, but this one I will make an exception for. The Woman in Cabin 10 follows Lo as she embarks on a luxury cruise ships maiden voyage that she is covering for the travel magazine she works for. The cruise becomes an entirely different trip when she sees a woman from the cabin next door get thrown overboard. Or does she? The whole novel has you on the edge of your seat, but in a good way. I think what I enjoyed most was that even though the novel was about something seriously messed up, it didn't go into any gory or gruesome details. If I have to spend all day on the edge of my seat, I at least want to spend all night being able to sleep. 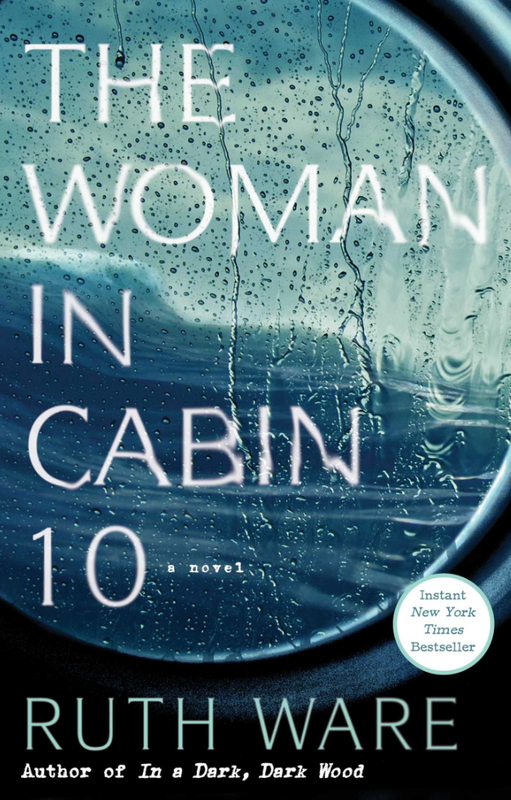 If you like novels with a little more thrill to them, I highly recommend The Woman in Cabin 10. 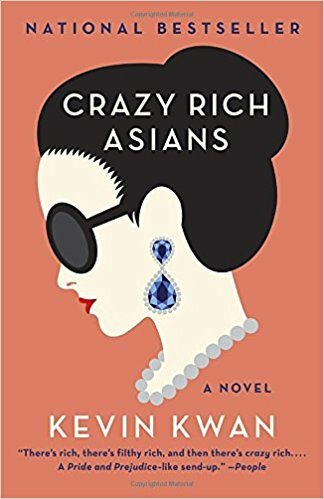 I'm currently working on Crazy Rich Asians by Kevin Kwan. 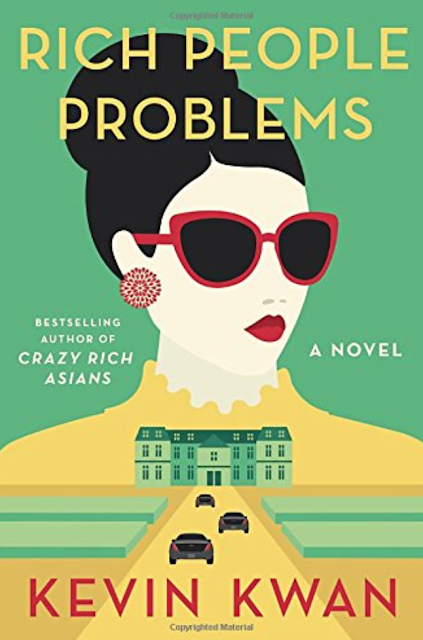 It is the first in the series and some of you might have noticed that Rich People Problems is one of our must read picks for this summer so I wanted to read this one first. Plus, I've heard they are making a movie based on the story so I always like to read the book first. 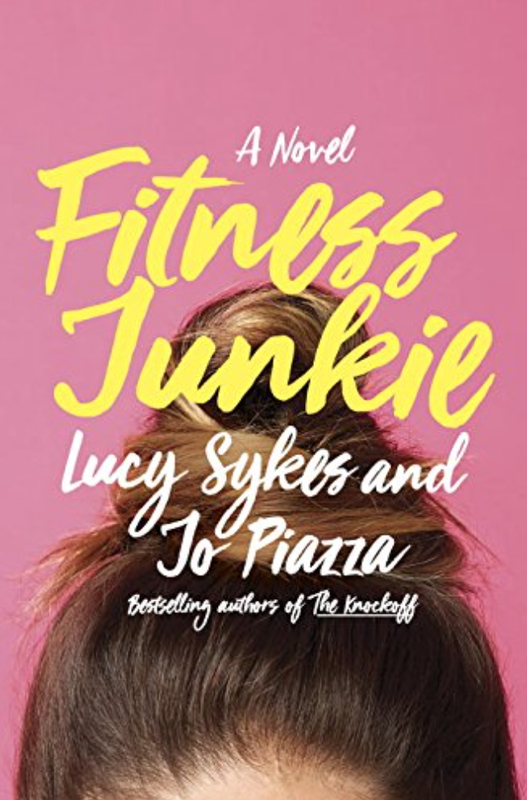 This month I plan on digging into Fitness Junkie from our Summer Reading List, and then have a few more fun ones in my pile. We have another trip or two planned this last month of summer break, and I hope to make the most of it before it's back to the grind! What have you been reading lately? Anything we should add to our list next?